Amazing Views from this Well-Maintained Single Home by original owners. Nestled in a quiet cul-de-sac on a premier lot. 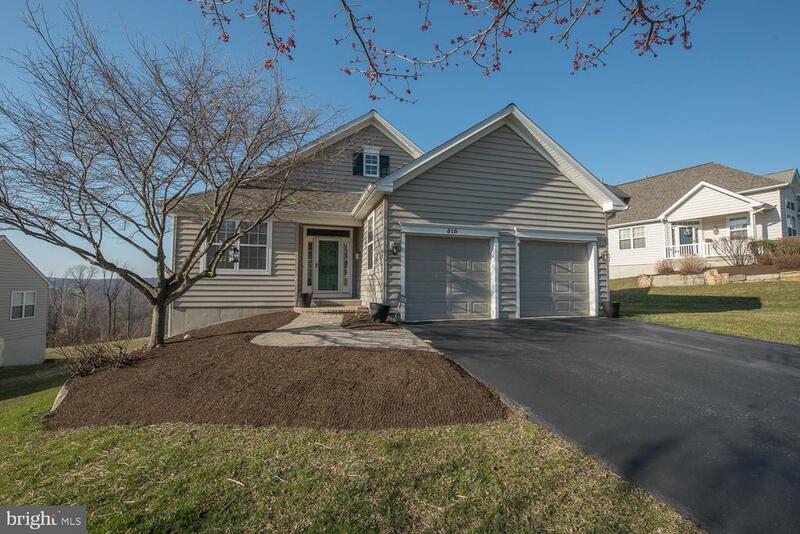 This floor plan allows for one level day to day living plus a full walk-out basement. Custom Paver Walkway Welcomes you to the Covered Front Porch. Enter to Foyer with Wood Flooring, Recess Lighting Through Out, Breakfast Room with Breakfast Bar (could use as study), Bright Kitchen Offers; Corian Counter Tops, Gas Range, Stainless Steel Appliance and Pantry. Open Dining Room with Wood Flooring, Half Walls with Columns, Crown Molding, Newer French Door to Trek Deck with retractable awning. Cozy Vaulted Family Room, features a Gas Fireplace nestled between two windows highlighting the beautiful views of the Countryside. Master Suite with a Walk-In Closet custom shelving, Full Bathroom with Tile Floor, Walk-in Shower & Double Bowl Vanity. Second Bedroom, Double Closet, Full Bathroom, Tub/Shower Combo., Linen Closet & Tile Floor. First Floor Laundry, Door to Full Walk-Out Basement with a Spacious Cedar Closet. Two Car Attached Garage with your on private driveway. Updates Include: Roof 2016, HVAC 2017, Hot Water Heater 2017, Digital Thermostat, Frames & Doors for Front and French Doors. Hillview is like living at a resort with the Outdoor/Indoor Pool, Whirlpool, Health Club, Tennis Courts, Cottage for Crafts, The Lodge for gatherings, Community Center for Parties, Games etc., The Cabin for Billiards & Game, Walking Trails and Oodles of Organized Clubs.